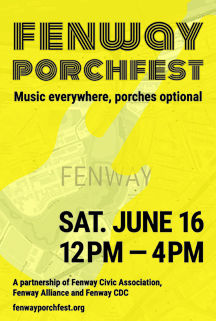 Porchfest is free live music at 25 venues in the Fenway on Saturday, June 16 from noon – 4pm. Performances are typically 1-hour each. Check out all the options! First time for Fenway and Ramler Park ~ porchfest done Fenway style!